Entertainment Hollywood 10 Feb 2019 Heist-orical highs! Passion simmers underneath as this heady, emotional and melodramatic Spanish series captures you, hook, line and sinker. 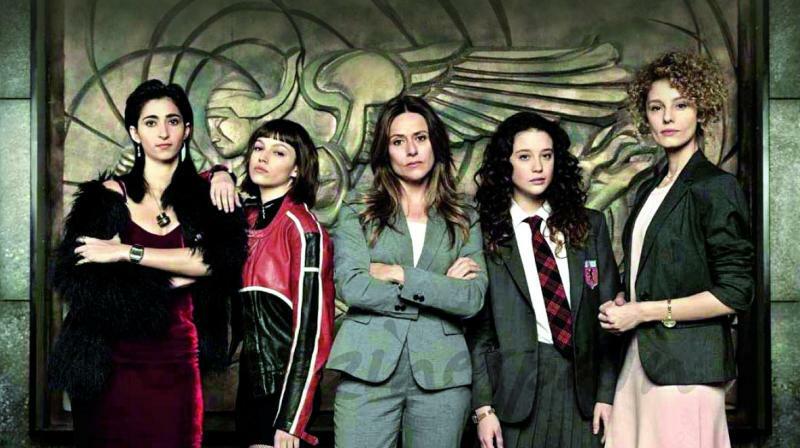 The series La Casa de Papel or Money Heist won the Emmy for best drama series in 2018, not surprising. Statutory warning: This series has the makings of a fab crime story even though some of the plot lines seem far fetched. Yet, much to your surprise, it inveigles you in and you are transfixed. Spanish. There is something very visceral and exotic about Spanish: especially when spoken with grit, passion and gusto. And this show took that love for all things Spanish to greater heights. It’s a heist story like no other. And it’s performances, each one of them, are brilliant. Add that Robinhood-esque ideaology and idealism of the have-nots and the “state” you will watch it to the end. Not just because of the mind-boggling and crazy twisted heist, but it’s kind of like the Bold and Beautiful of hiesters, if there is something like that. Drama, love, lust, anger, desire and lots of guns. And lust, again! 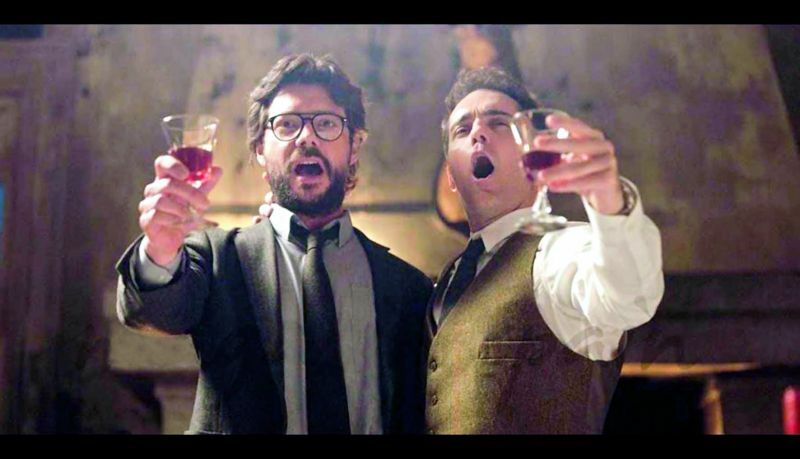 The series La Casa de Papel or Money Heist won the Emmy for best drama series in 2018, not surprising. The story begins with an ordinary thief being contacted by the Professor. And what follows are eight more criminals from different fields joining in to prepare and train for the heist of all heists. The professor, Alvaro Morte inhabits the socialist and Marxist ideologies to such precision and clarity, you feel the pain he cringes upon, the crazy anxiety he undergoes, and slowly after being all judgmental, layer by layer, incident by incident, you start rooting for these eight heisters and their professor. Even when he befriends the main investigator who is looking into the hostage crisis at the Royal Spanish Mint, it’s a bit too melodramatic, yet at some point you throw logic and caution to the winds, and ride this storm. Love strikes during the hostage crisis. Remember when we said that it’s a bit too romantic to be true, this feeling continues... as Cupid plays it’s part again and again, even as gun-laden criminals keep 60 hostages inside, while getting on with what they were there for: The money from the Royal Mint! High emotions, tears, shots fired, unimaginable stress and a plan that is being held together by the professor. You get so absorbed into the series even with subtitles, this is a show that turns turtle on reality. Yet, it gives you a space to mull over ideologies. Suddenly words like khoder, puta and siente don’t need translations: and the heist continues: with the inside telling a story of turmoil, in-fighting, fall from grace, conspiracies and hostages. And the outside telling the hapless tale of the police and federal agents fighting their own battles to take their Royal MINT. Amidst this is Spain the country, which is all heart, emotive and rooting for the underdogs. Watch it. Romance, humour though pain, hostages, crisis after crisis, and love that conquers all, or not? We’ll let you find out for yourself. Must-watch: Edge of the seat thriller with drama and fantastic performances.